Now is the time for Water Pokemon fans to unite! The second generation update for Pokemon Go has been live in the game for over a month now, but Niantic wants to keep this train moving! Today, the developer announced a new event aimed at getting players back in the game and hunting Pokemon in the wild. 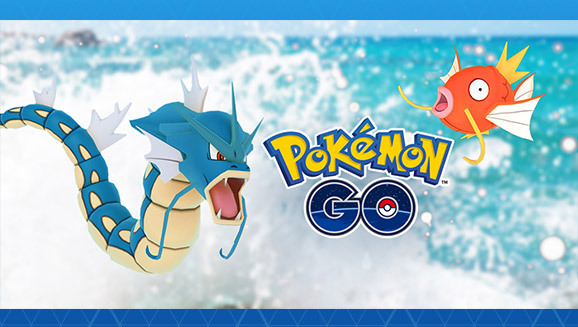 The Water Festival event will see Water Pokemon spawning more frequently around the world. "Additionally, when you're out exploring areas where Water types commonly appear, you'll have a greater chance to encounter several of the Water-type Pokémon originally discovered in the Johto region. If you're fortunate enough, you might even encounter Lapras," said Niantic. Niantic pointed to Magikarp, Squirtle, Totodile and their evolutions as recipients of increased spawn rates. The Water Festival begins today and will end on 1 pm PDT/4 pm EDT on March 29, 2017. Niantic CEO John Hanke recently told Wired Germany that players could expect to see Legendary Pokemon launching in the game this year.